The new LiteUP will help increase energy levels and productivity all day long. 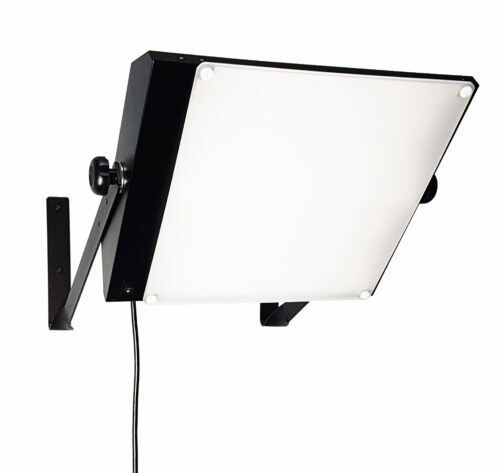 The LiteUP can easily wall mount for effective light therapy. The LiteUP provides 4000° K for a clean bright white light that is great for any work space. 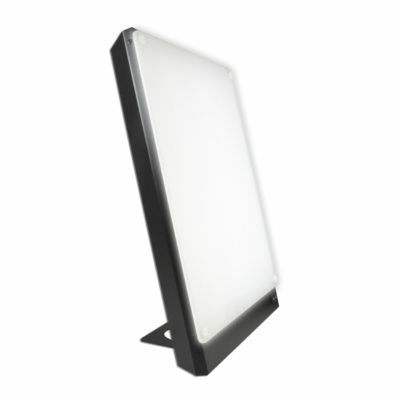 Its 2 x 48 Watt fluorescent tubes give 10,000 Lux at up to 17 inches. The LiteUP is the new little brother of the BOXelite. It is smaller, brighter and even more versatile! 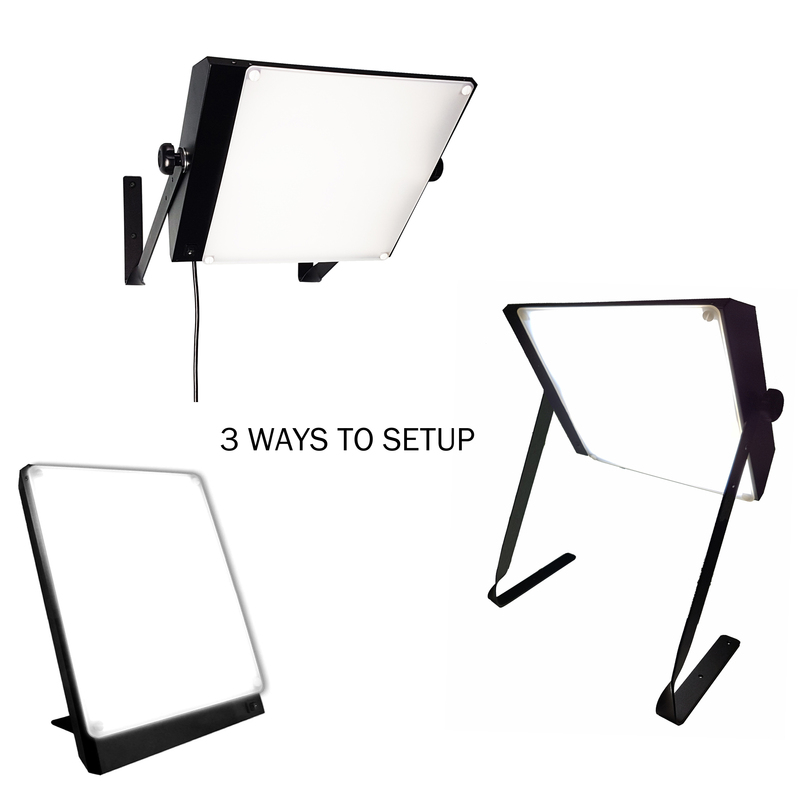 The LiteUP can wall mount or simply sit on your desk. 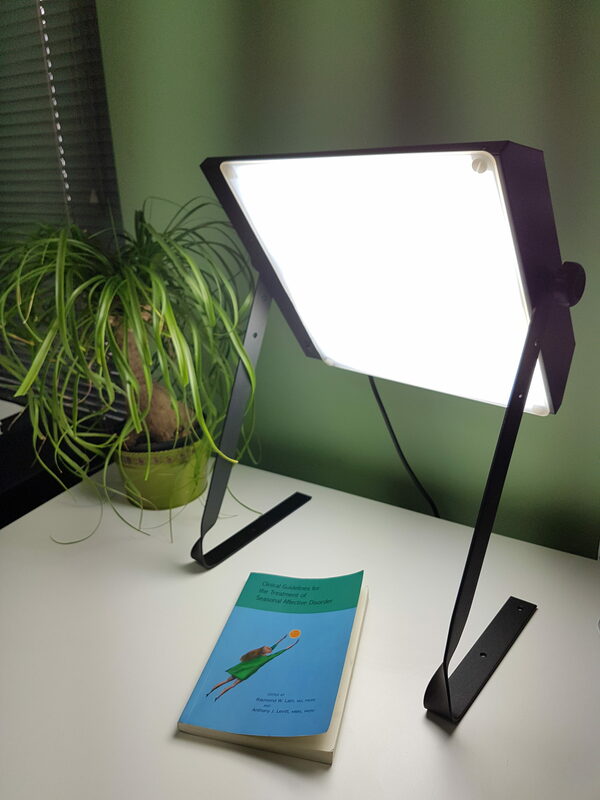 The bright light of the LiteUP will shine down into your eyes similar to the sun outdoors. 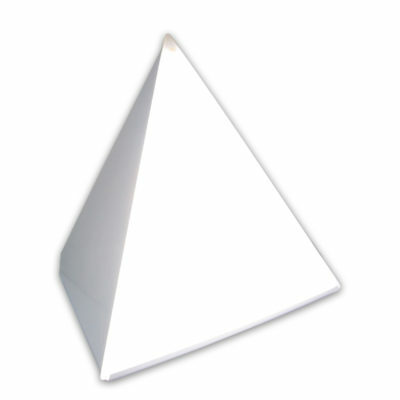 The panel’s angle can be easily adjusted and offers 3 different elevation settings. This unit delivers 10,000 Lux at up to 17 inches. 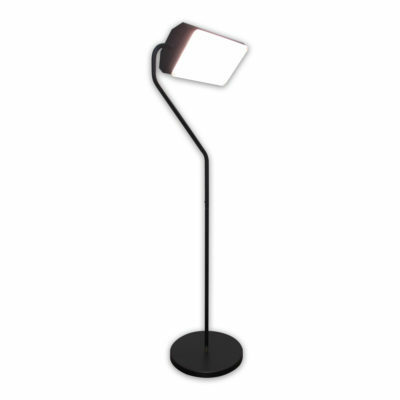 The perfect light to keep your workspace and your spirits bright. 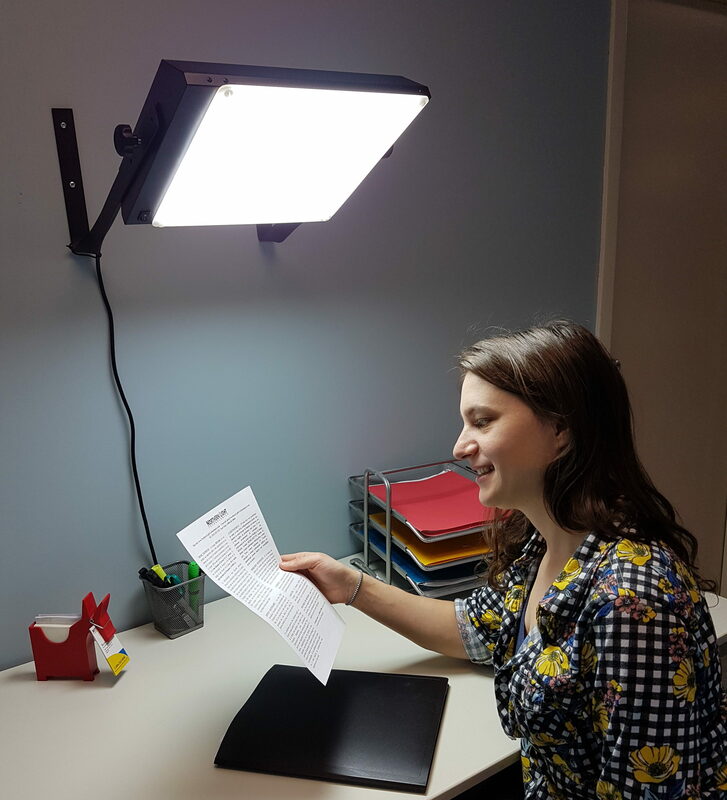 The LiteUP gets rid of bulky therapy lights taking up all your desk space. 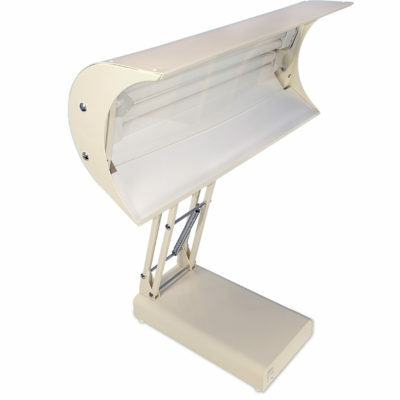 The LiteUP provides effective light therapy treatment in as little as 20 to 30 minutes a day. The LiteUP is not hardwired, it just plugs in so there is no electrician needed for installation. Includes all necessary materials for wall mounting into drywall (screws and anchors). Tips: Use the light regularly at about the same time each day. Also try to spend time outdoors during sunny periods. Eat sensibly, exercise and try to keep regular sleep-wake hours. 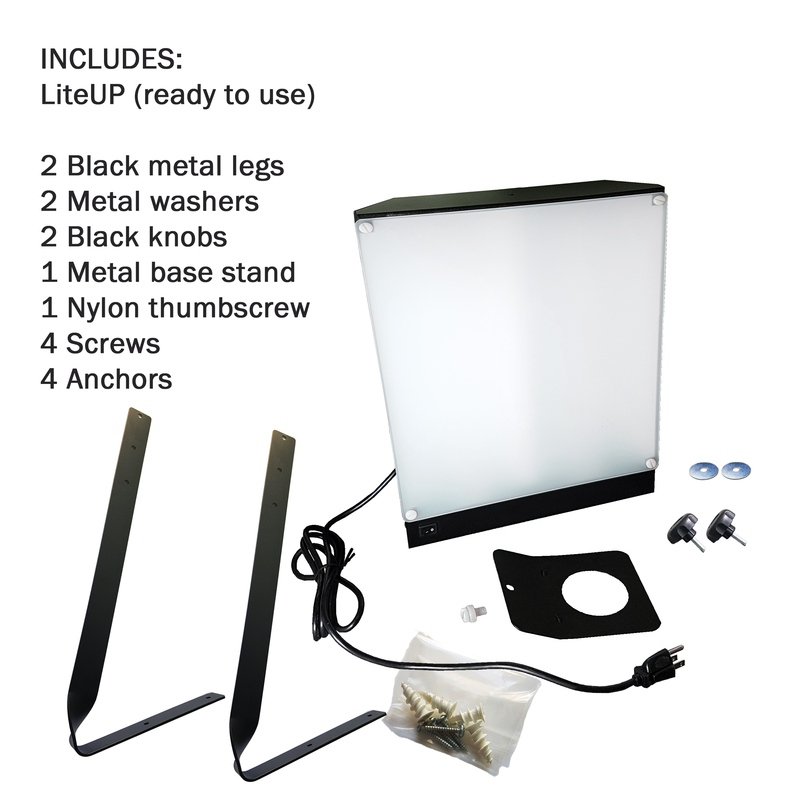 Be the first to review “LiteUP” Click here to cancel reply.